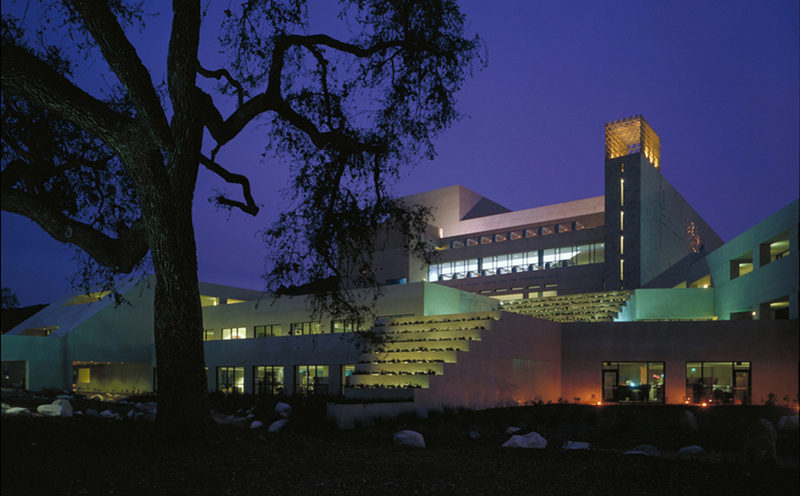 The 226,000-square-foot project, completed in 1994, includes offices for city administrative departments, a 398-seat forum theater/council chamber, an 1,800-seat auditorium, a gallery exhibition space, a seven-acre community park and an 850-space parking structure. The site is located at the center of the linear city of Thousand Oaks, bounded on the south by the regional Ventura Freeway and on the north by the Thousand Oaks Boulevard strip. Accessed by car from Thousand Oaks Boulevard one drives up a slope toward a parking court bermed into the bank of the adjacent freeway. This car park is bordered by a covered pedestrian walk which links the garage to the Civic Auditorium/Concert Hall and orients the visitor to the entry procession. 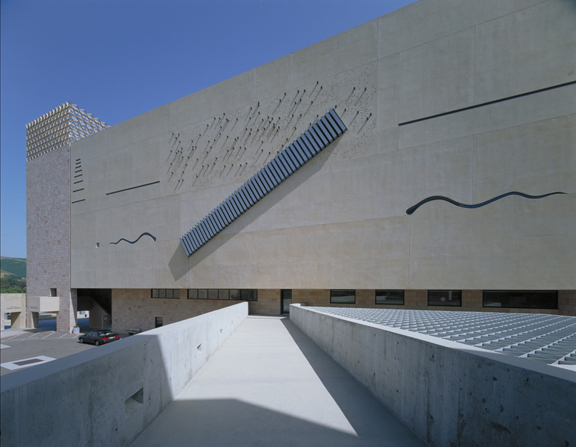 Passing under the "pictograph wall," an abstract reference to the original inhabitants of the Coneyo Valley, the visitor circulates along the stone-clad donor wall and through the entry tower to the Civic Plaza beyond. 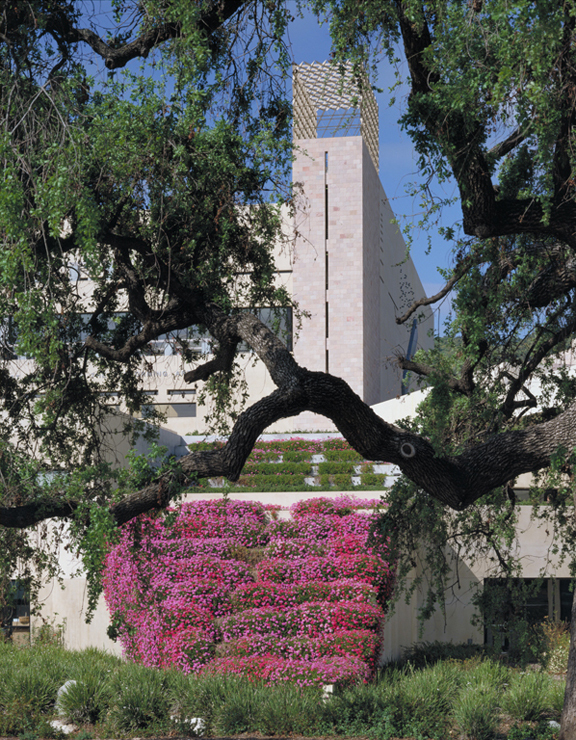 The Civic Plaza acts as a datum line to the Civic Auditorium above and the governmental functions set below the main plaza's energy-conserving reflecting pool. Government centered programs are located on the lower levels, connecting staff work spaces to the park, while creating a link for a series of public terraces and plazas from both the park and roadway above. An existing natural watercourse, weaving its way at a gradient through a huge park gateway, disengages the donor courtyard - configured around an existing oak tree - from other offices in the building's arm. The Council Theater rests astride the main mid-level plaza. This multifunctional space accommodates cable-linked city council sessions. 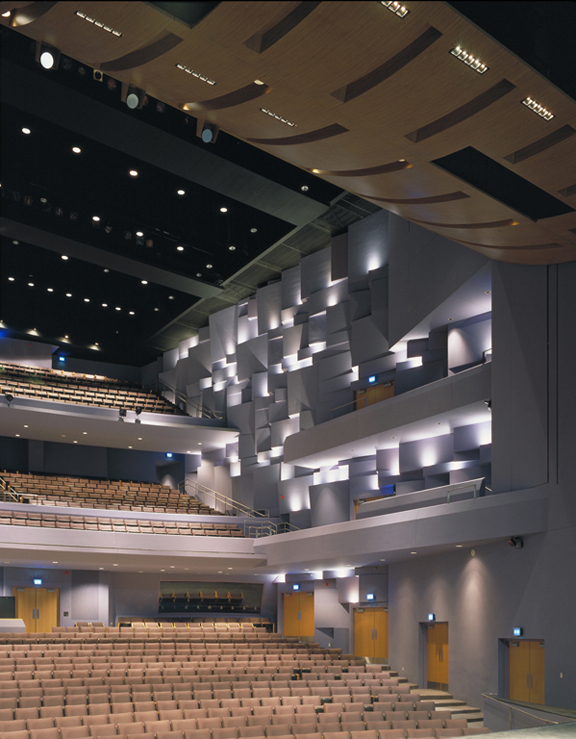 Seating lifts and full-fly riggings transform it into a 398-seat community theater. 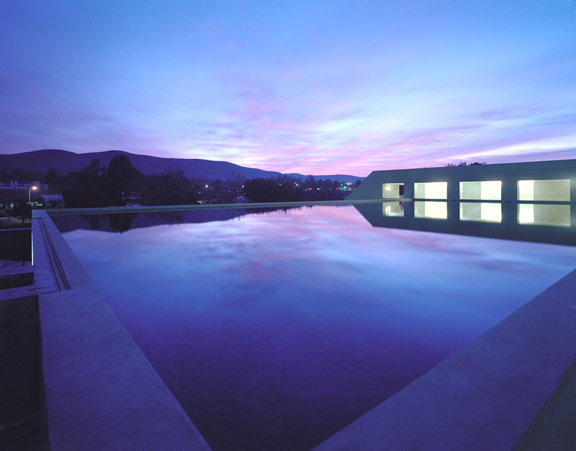 The significant mass of the complex is diminished by its accessible and loosely- knit indoor and outdoor areas. Light courts slice the building in public zones and pedestrian circulation flows up and over the building to rooftop terraces. 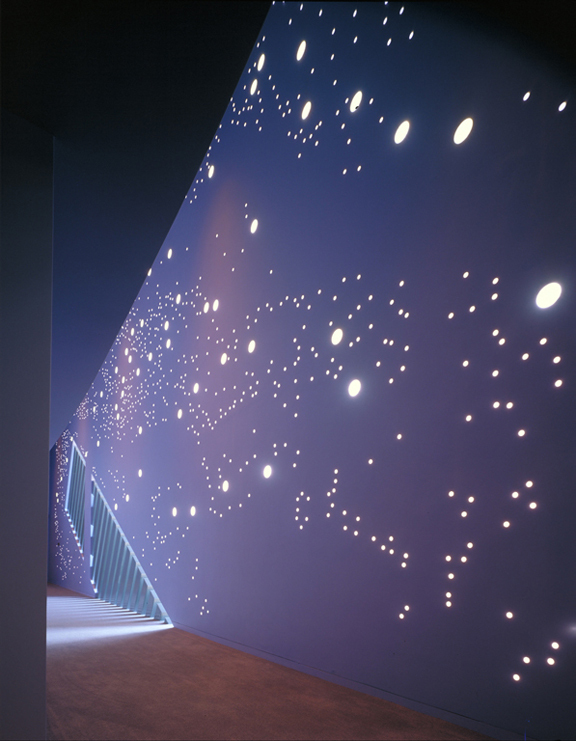 In association with Executive Architect Dworsky Associates, Los Angeles, California.